It’s tough to believe that the regular season is over already. The most ridiculous lockout since the last hockey lockout robbed us of 34 Penguins games this year and although that already seems like quite a bit of missed hockey, it’s even more devastating when you break it down to the number of absent regulation periods (102) and missing minutes (2,040). And not to put salt in the wound, but if Sidney Crosby hadn’t missed any games during the season and averaged his regular 21:06 of ice time per game, that means we also missed out on nearly 12 hours of watching the greatest player in the world do his thing. But let’s focus on what we did get to watch. To put it simply, the Pittsburgh Penguins were quite an amazing team to watch. They went 36-12-0 and acquired 72 points in route to capturing their first Atlantic Division title since 2008 and their first regular season conference crown in two decades, when they were captained by Mario Lemieux, backstopped by Tom Barrasso, and competed in the Prince of Wales Conference with the likes of the Quebec Nordiques and the Hartford Whalers. Like that team from 1993, these Penguins looked unstoppable in the regular season and are considered amongst the favorites to win the Stanley Cup. The 1992-93 Pens finished with 56 wins and 119 points. This year’s team was on pace for 61 wins and 122 points. That would have made them the winningest team in franchise history and given them the second most wins in NHL history, behind only the 1996 Detroit Red Wings who finished with 62. They never lost more than two games in a row and they became the first team in NHL history to win every game in the month of March (and at the same time becoming the first franchise to record a 10-game win streak in each of three consecutive seasons). That was during a streak in which the Pens won 15 in a row, tying the 1981-82 New York Islanders for the second longest win-streak in NHL history. Although this Pittsburgh team was relatively sound in most facets of the game, it was their offense that drove their success. Despite the shortened season, they still put a heck of a lot of pucks into the nets. They were first in the NHL in goals, with 162, which put them on pace to score 276 in 82 games. Much of their success came on the power play, which netted 42 goals and clicked at 24.7 percent, good enough for second best in the league. Defensively, the Pens weren’t firing on all cylinders for the duration of the season but they eventually found their way. Once they worked out some early season troubles leading to too much up and down hockey (that were exemplified by a disheartening 6-5 loss to the Flyers on February 20th and a 7-6 overtime win in Montreal on March 2), they really found the winning combination of scoring and defense. Through the first half of games, the Penguins gave up four or more goals eight times. Through the second half, they chiseled that number down to five games. It still wasn’t elite defense, but it got the job done by helping to win 20 of their last 24 games. Over the course of the season, Pittsburgh averaged 2.48 goals against per game (12th in the NHL) and their goalie tandem of Marc-Andre Fleury (23-8 in 31 starts) and Tomas Vokoun (13-4 in 17 starts) combined for a .917 save percentage and 2.42 goals against. They might not be Vezina-type numbers, but they were good enough to help rack up the second-best record in the NHL and the best one-goal game win percentage in the league. But as good as Pittsburgh was in most areas of the game, they were pretty awful when it came to the penalty kill. They finished 25th in the league with a PK percentage of 79.6. Comparatively, the best PK team in the league, the Ottawa Senators, killed penalties at 88 percent. What’s most disconcerting about the Penguins penalty killing woes is that they’re one the worst teams in the league at it on the road. In the Stanley Cup playoffs, the ability to excel on the road is critical for deep Cup runs. 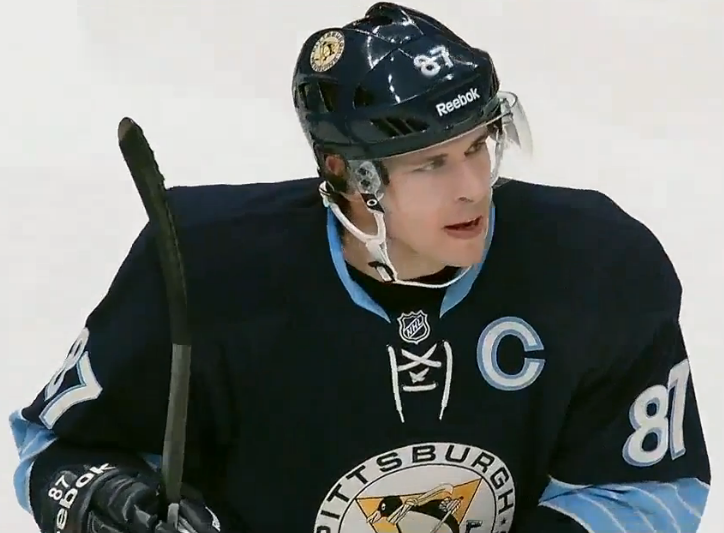 The Pens killed only 75.5 percent of penalties on the road and allowed 24 power play goals. The only team that allowed more was the Colorado Avalanche, a.k.a. the worst team in the Western Conference. Now it’s time to fire through the whole Penguins roster of 2012-13 and conduct a quick review of their bodies of work. Craig Adams- Adams was one of the six iron men on the team this season, playing in all 48 games. That’s somewhat surprising considering his playing style. He was third on the team in hits (107) and eighth on the team in blocked shots (37). He may not have much offensive savvy (three goals and six assists), but he’s a valuable penalty killer and a fearless defender. He’ll be one of the first guys penciled into coach Dan Bylsma’s everyday playoff lineup once the team becomes completely healthy because he’s such a solid shorthanded asset. As I mentioned before, MAF won’t win the Vezina this year, but if he ends the season hoisting the Stanley Cup, nothing else matters. He didn’t have elite statistics this season. He was 19th in save percentage (.916) and 17th in goals against average (2.39). But he did finish tied for second in wins (23) and the only reason that number wasn’t higher is because the Penguins actually had a backup they could trust to give Fleury some rest. In the end, the Flower was consistent and always gave the team a chance to win. He has a Stanley Cup pedigree and no one wants to avenge last season’s early playoff exit more than he does. I expect the same form from the Cup year to return this week and so does Pittsburgh Tribune-Review reporter Rob Rossi. Beau Bennett– The rookie winger from California might have entered the NHL as a skinny greenhorn, but he’s left a tremendous impression on anyone that’s seen his work this season. We could see him grow up before our eyes, learning to see the ice better and better each game. He developed great chemistry with his line mates whether he was playing on the second line or the fourth. He has a slick touch to his puck handling and he’s certainly not afraid to run guys into the boards and grind the puck out from behind the net. I really hope Bylsma finds a spot on his playoff roster for this youngster because he will make the most out of any ice time he receives. Robert Bortuzzo– Borts, as he’s affectionately referred to by teammates, may have trouble cracking the playoff roster. But that’s not an indictment of his play during the season. He scored his first two NHL goals, but any offensive production he brings is frankly a bonus. Where this big-bodied D-man plays his best is in his own zone, tying up bodies around the net. In 15 games, he blocked 14 shots and registered 18 hits. He’s also developing a reputation as a tough guy, dropping the gloves three times. Bortuzzo is yet another example of the quality defensive depth the Penguins organization still has, even after trading away some quality defensive prospects this season. Matt Cooke– This will be remembered by most as the season that Matt Cooke sliced Erik Karlsson’s Achilles tendon, drawing ridiculous accusations from the Ottawa Senators brass, boorish comments from ex-goon analysts and insulting comparisons from loose-lipped announcers. 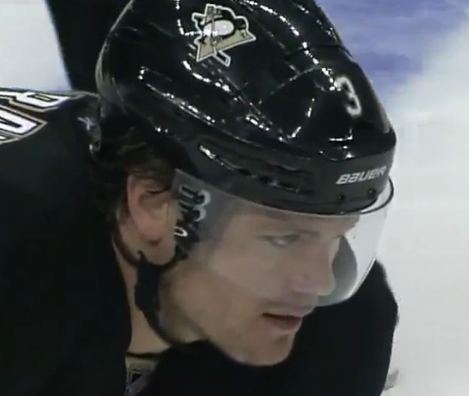 But in actuality, the dirty Matt Cooke is long gone. The new Matt Cooke has struck a balance of grit and skill and when he’s playing on the edge (without going over it) Cooke is a dynamic penalty killer and a scoring threat to boot. His offensive production was down slightly this season, but it was wrong to expect the same level of production this season as he had last year, when he spent time on lines with Sidney Crosby and Evgeni Malkin. He did, however, have his worst plus/minus (-2) as a Penguin this year so hopefully the postseason will change his fortune in that regard. I think I’ve spent more time writing about injuries to Sidney Crosby than anything else on this blog. And I can’t tell you what it is (Bad luck? Unintended voodoo? ), but I’ve been in attendance for the two most serious afflictions he’s suffered. I was at the Winter Classic in Pittsburgh when David Steckel concussed him and I was at the Consol Energy Center when Brooks Orpik’s errant shot broke his jaw and gave him a hockey smile. But had that puck missed him, he would be collecting an Art Ross Trophy at the end of the season in addition to a possible Hart Trophy. But there’s no use hashing out hypotheticals. What we know for sure is that Crosby is still the best player in the world and once he returns to action, we all expect him to resume his torrid scoring pace. Simon Despres– Despres has progressed well in his young career and this season he certainly showed us glimpses of his true value as a skilled defensive player. There are still some rough patches to iron out, including some panicky play where he’ll sling the puck into dangerous areas, but it’s all on pace and in due time. Bylsma needs to learn to trust Despres to play against more “physical” teams because it looks like that shouldn’t be an issue for him. He may not see time in the playoffs, but if Brooks Orpik remains out with a lower body injury, Despres’ puck moving ability and skill could be an asset against the young and speedy Islanders. It’s not likely that he’ll get the nod ahead of Deryk Engelland, though. NHL players usually hit their primes around their mid-20s. By 30 they’re typically on the downswing of their careers and by their mid-30s, it’s not uncommon for them to trade in their hockey sticks for golf clubs. But not Pascal Dupuis. At the age of 34, this Canadian winger has been downright prolific this season, leading the NHL with a plus-31 and tying for third with 17 even strength goals. He finished third amongst Penguins with 31 points and led the club with 140 shots. He became a quality point man on the power play and continued to be one of the best penalty killers in Pittsburgh. He can switch between playing wing and center and in his younger days he even played some defense. This man can do everything and he’s hilarious, too. What’s not to like? Mark Eaton– Mark Eaton doesn’t have point this season. He has only eight shots on goal and his shot blocks and hit totals don’t rank anywhere prominently in the NHL. Mark Eaton doesn’t get noticed and that’s been the best part about his play. He quietly executes on the blue line every night and he doesn’t make mistakes. He’s brought a calming veteran presence to this Penguins club and the proof is in its record since he arrived. In the 23 games he’s played with the Pens this year, they’ve lost three times. Call it a coincidence if you like, but he may be the most overlooked defensive piece that the Penguins have had all year. Deryk Engelland– Engelland had a decent season overall, but it was nothing to email home about. He certainly has progressed since the days in which his sole purpose in hockey was to cave in the face of the other team’s tough guy, but he isn’t at the level of a top-six defenseman (and I doubt he’ll ever reach that level). His physical style is welcomed in front of the Penguins net, but he can get out of position at times and he isn’t a great skater. His usefulness can plummet in the playoffs, where fights are few and far between, but as long as Bylsma doubts Simon Despres’ physicality, Engl will be the sixth defenseman until Orpik is ready. Tanner Glass– A glance a Glass’ numbers will make it seem like he didn’t have a very good season and they’d pretty much be correct. Don’t get me wrong. He’s one of the hardest working Pens and he’s eats up time on the penalty kill, but here’s what I’m hoping is just a bad coincidence: the Penguins penalty kill is awful and its key components are largely unchanged from the past few seasons when they were among the best in the league. Glass is one of the few different components. Do I think he single-highhandedly destroyed their PK somehow? Absolutely not. Do I think he’s helping it? Not necessarily. It’s great that he adds grit and sticks up for his teammates, every team needs guys like that. But I’m just not sold on his value after this short season. Hopefully, he can flip a switch like the Arron Ashams of the world and turn into an asset in the postseason. If he doesn’t show something right off the bat, he shouldn’t dress. Iginla’s trade was obviously the blockbuster deal of the NHL this season. After spending his entire career in Calgary, he decided he wanted to win some hockey games and dropped his no trade clause to play with his old Olympic buddy Sidney Crosby. 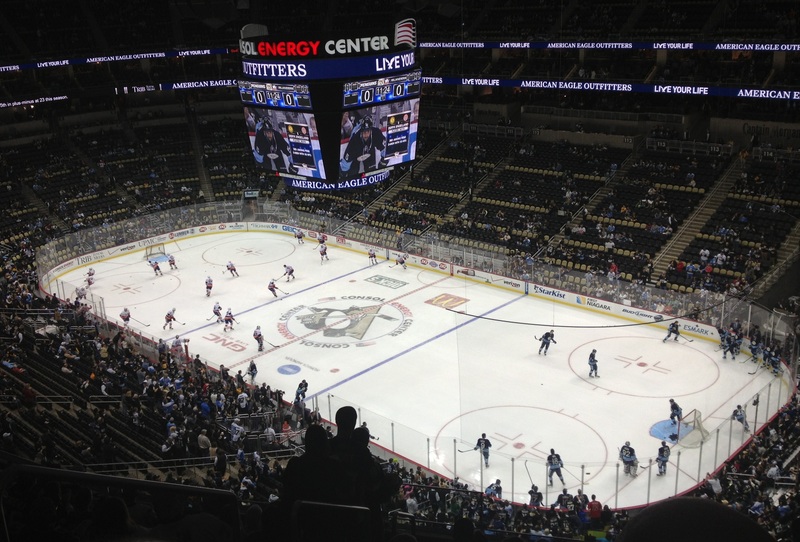 I attended his first game as a Penguin and the crowd was about as receptive as it possibly could have been. And now after only 13 games of service to the city of Pittsburgh, I know why Calgary was so upset to see him go. How has a howitzer of a slap shot, a pearly white smile that he displays frequently and he’s already developed serious chemistry with the rest of the team. He sold his house in Calgary so it seems like he won’t be returning there at season’s end, so the question remains: Can/will the Pens sign him to an extension for 2013-14 and beyond? 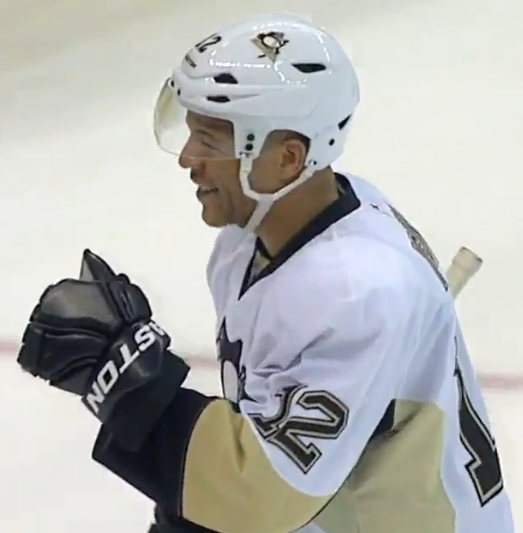 Because at the right price, I wouldn’t mind seeing him do this in a Penguins uniform for a few more years. Dustin Jeffrey– I can only imagine the frustration of Dustin Jeffrey. He’s a young, decent hockey player on one of the best teams in the NHL but there is no room at the inn. He’s been with the organization since 2007-08 and has bounced back and forth between the AHL and NHL so much that he probably forgets what jersey to put on when he arrives at the rink. But lately, he can assume that a suit and tie is the appropriate uni. He played quite a bit in March but was a scratch for all but three games in April. And unless things go terribly awry in the injury department, it’s likely that DJ has played in his last game of the season. Six points and a plus-1 in 24 games should hardly be convincing otherwise. Jussi Jokinen- You might not have believed me if I told you that Jokinen would be the most efficient addition to the 2013 Penguins roster when Ray Shero brought him on board on deadline day, but that’s exactly what he’s been. When he shoots, it goes in. It’s that simple. The Juice has 13 shots on goal in 10 games and he’s scored on seven of them (and added four assists). That’s the best shooting percentage on the team. He’s also been the second-best Penguin in the face-off circle (57.9 percent). It should scare other teams that he might be relegated to the fourth line once the Penguins become healthy, because he has top-six talent. Tyler Kennedy– TK had arguably his worst season as a Penguin. He finished with six goals, five assists and was a minus-6. He did manage to put 100 shots on goal, but that’s hardly an exception for him. He’s always had a shoot first (shoot always) mentality and while he has seemed to elevate his game in past seasons when players went down because of injury, that really wasn’t the case this year. He got opportunities to center the first line when Sidney Crosby went down, but he struggled to inject any flow to his game and he was quickly relegated back to the third and fourth lines. For whatever reason, Bylsma loves Kennedy. I would pick him to be a healthy scratch once the Pens are healthy again, but knowing Disco, TK will be out there blasting off-target shots as soon as the postseason begins. I present for your consideration, the 2012-13 statistics of one Christopher Kunitz: 22 goals, 30 assists, 52 points, plus-30, nine power play goals, five game-winning goals, 19.5 shooting percentage, 113 shots, all 48 games played. He was easily the best Penguin not named Sidney this year. For awhile, he was in the running for the Rocket Richard and Art Ross trophies. 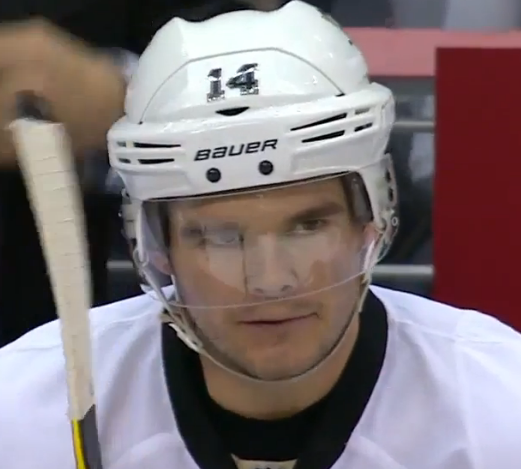 The only question remaining about Kunitz is where he’ll play once the Penguins are healthy. Crosby said that he feels more comfortable with Kunitz and Dupuis on his wings, but it shouldn’t matter where they are plugged in. Whether its on the first line with Crosby and Dupuis or on the second with Malkin and Neal, his presence can make it the best line in the NHL. Pretty good for a 33-year-old undrafted free agent. Kris Letang– He’s the best defenseman in hockey and he should be recognized as such by being awarded the Norris Trophy. Letang tied another Norris front-runner, P.K. Subban, with 38 points and did him four better when it came to plus/minus. Letang’s odds were narrowed because he played in seven fewer games than Subban and scored six fewer goals, but he ate up two more minutes per game than Subban and was in the penalty box far less as well. Unfortunately, I don’t have a vote for the NHL awards but he deserves the hardware because he plays the game better than any other blue-liner in the league. Steve MacIntyre– What can I say about Mac? He played in one game with the big club this year and basically served as a bodyguard for Matt Cooke. He’s a big bruiser that doesn’t do much and his type will eventually be phased out of the game someday. But for now, it’s hard not to love the big lug because of one time he defended his teammates by beating up the entire other team. I’ll just say I’m glad he’s on our side. Last season, Evgeni Malkin finished the regular season with 50 goals and 109 points to lock up the NHL scoring title. He was also won the Ted Lindsay Award (Most Outstanding Player) and was voted the league MVP. This season, Geno had nine goals and 24 assist, which put him on pace for 15 goals and 41 assists in an 82-game campaign. Those numbers would represent the second-worst statistical year of his career, with the worst coming in a season in which he played only 43 games. 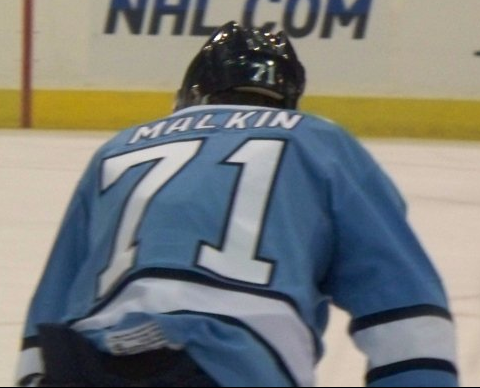 He did have injury problems this year as well, but Malkin might as well have fallen off the face of the earth. Thankfully, there’s still the postseason to redeem himself. He’s played some of his best hockey in the Stanley Cup playoffs, most notably in 2009 when he when the Conn Smythe trophy as the postseason MVP. His odds for winning a second Conn Smythe are 20/1 this year. Paul Martin– At the end of last season, Paul Martin was public enemy No. 1 in Pittsburgh. He had a putrid year and because of his $5 million per year salary, it didn’t seem likely that any other team would take him off our hands. We became stuck with Paul Martin. Now, thank god we’re stuck with Paul Martin. He was easily the team’s comeback player of the year. Just consider the numbers. This season he has four more goals in 39 fewer games. He has nearly as many assists this year (17) as he did last year (25). His plus/minus is five points better. When it comes to the intangibles, it’s also been night and day. Last year, he struggled in the offensive zone, especially when he was on the point during the power play. This season, he’s calm and collected in the offensive zone. There is no panic and he has seemingly always made the right pass or shot at the perfect time. And with 52 games played in the Stanley Cup playoffs, his experience is welcomed with open arms at this time of year. 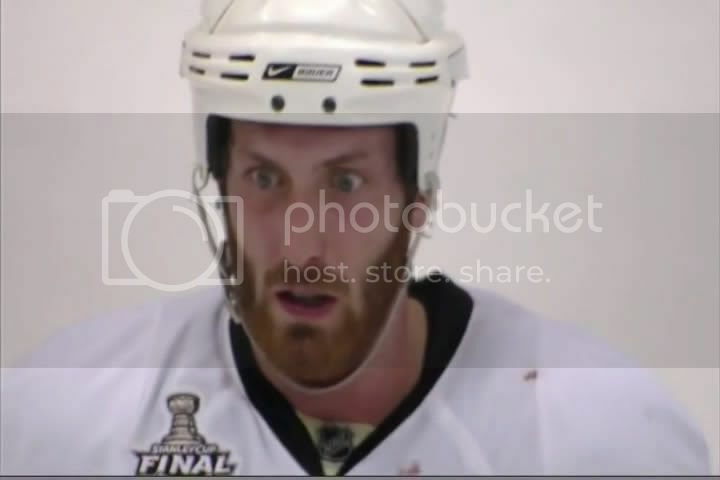 A $5 million Paul Martin? Hell, that’s a bargain. In his former lives, Douglas Murray was a bouncer, a boulder, a bull dog and a beef cow. In this life, he’s a slow-skating mountain troll who doesn’t feel pain and clears the ice of human debris. 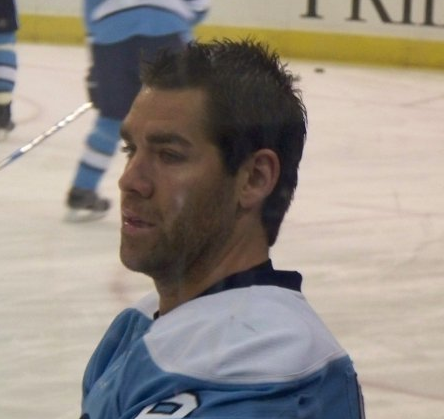 After Morrow, Murray might be the next favorite addition to the Penguins because of his strength, size and because he might be a slightly cleaner reincarnation of Ulf Samuelsson. Between his time in San Jose and Pittsburgh this season, Murray has 89 hits and 98 blocked shots, which both rank second amongst Pen’s D-men. He has the second worst plus/minus on the team, but other than that he certainly has made a positive influence in the Burgh. James Neal– The Real Deal James Neal hammered home 21 goals this season, nine of them coming on the power play. He still has one of the most wicked shots in hockey, a release so quick that the opposition can’t get in front of it quick enough (skaters and goalies all included). I wondered how Neal would look upon returning from a concussion, but my fears were alleviated by a four-point regular season finale complete with a hat trick off of eight shots. Neal is yet another power play specialist within the Penguins roster that will do some major damage in the postseason, especially off of a face off play that is so quick, the announcers can’t call the goal until the puck is in the net for five seconds. Matt Niskanen– Niksanen is another one of those Penguins players that rarely gets talked about because there’s never a need to do so. He’s been one of the most quietly consistent Penguins since he joined the team and this year was no different. He didn’t exactly wear out the net twine but he was able to put together a respectable season with 14 points, two game-winning goals and was a plus-4. This was a carry over from last year’s playoffs, in which the former Dallas Star lead the Penguins in almost all major statistical categories in terms of shots against, goals against and Corsi.Pair his play on the ice with his recently received “Good Guy” Award and you have a quality person and D-man in Matt Niskanen. Orpik is the second-biggest question mark remaining on the Penguins roster heading into the postseason (with the first obviously being Crosby). He suffered a lower-body injury last week against the Buffalo Sabres that kept him out of the final two regular-season games. He did skate by himself this week but is listed as day to day. Orpik is an important cog in a Penguins defense that struggled in the beginning of the year, only to turn it around in mid-season. His potential absence could leave a glaring hole in front of the net. He was clearly the best defensive defenseman for the Penguins, leading the team in hits (119), blocked shots (114) and games played (46). 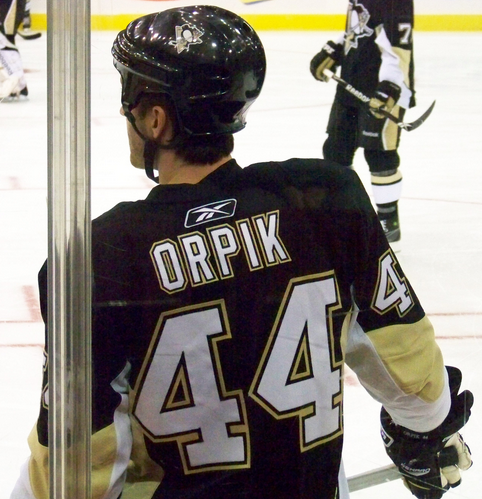 I’ll feel a lot better about the back end once Orpik and his demonic bulging eyes are back on the ice. Trevor Smith– If it doesn’t ring a bell, don’t worry, it shouldn’t. Mr. Smith played in one game this year. I was at that game in March and didn’t know he had played in it. He registered zero stats during 10:24 of ice time. Brandon Sutter– Now that the season is over, we can finally compare the stats of Sutter and Jordan Staal and see which team won the trade! Although this doesn’t necessarily work in a black and white comparison, it’s still fun to see. Sutter finished with one more goal than Staal, but the ex-Penguin racked up 13 more assists. The glaring difference was their plus/minus numbers. Sutter finished with a plus-3 (the second-best of his career) while Staal finished a minus-18, easily the worst of his career. Sutsy finished with five game-winning goals. Staal had one. There wasn’t a huge difference between the two, but given where the Pens are right now, I’d say that Shero has no regrets. And given Sutter’s family pedigree and style of play, I cannot wait to see what kind of force he can be in the playoffs. Joe Vitale– I always admired Joe Vitale’s game. He hustles like he’s Bryce Harper on ice, he drills guys into the boards and while he doesn’t often fill the net, he scored one of the prettiest elevation goals of this shortened NHL season. He has a skill set that would be utilized a lot more were he not on a superstar-loaded team. He still managed to get on the ice 33 times this year, however that was the best number on his stat sheet. He was a minus-7 with two goals and three assists. I would have liked to see him get some more time this year simply because he’s fun to watch, but a healthy roster will probably relegate him to the press box for the remainder of the season. He has one year left on his contract after this season and then becomes a restricted free agent. Given his overall lack of production and the fact he’ll be 28 years old, that might be the last season we see him in a Penguins sweater. Much can be said about all of Ray Shero’s 2012-13 acquisitions, but the best of them all was Tomas Vokoun. Fleury was overworked when he entered last year’s playoffs because of the Penguins’ hesitance to start Brent Johnson more than a handful of times during the regular season. 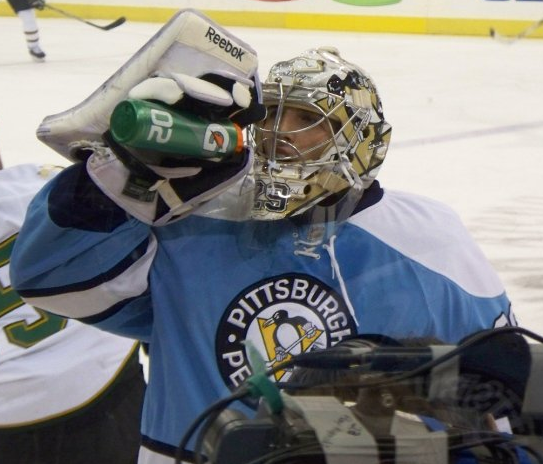 With the installation of Vokoun, the Pens were able to rest Fleury without worrying about their backup getting lit up. 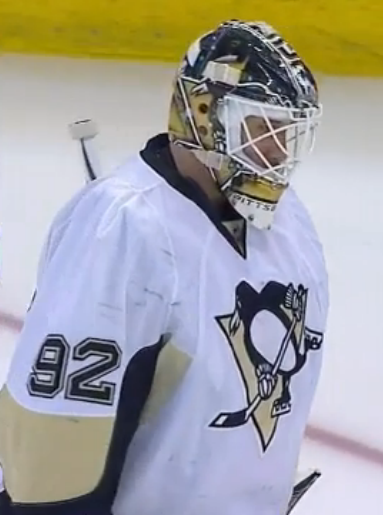 Vokoun’s veteran presence has seemed to push the Flower to become more focused and better rested. And heading into the postseason, Fleury is by far the most important person to be in peak condition both mentally and physically.